Fiber separator is mainly used for removing tailing in coarse screening process, fiber separator have secondary breaking rotor and sieve plate and it can be used for breaking and screening of tailing in coarse screen. It can separate light and heavy impurities from the pulp effectively. Leizhan fiber separator equipment ZDFD series single effect fiber separator and ZDF series single fiber separator is researched and designed according to advanced technology and years of experience in paper and pulp industry. 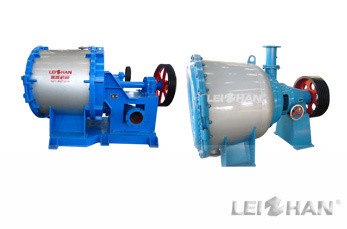 Therefore, Leizhan fiber separator machines have many advantages. 1. Fiber separator can be used as tail treatment equipment. 2. Specially designed components can break fiber effectively. 3. Automatically discharging system according to requirement, run reliably. In addition to fiber separator equipment, Leizhan also supply many other paper machines and spare parts for stock preparation process like pulping machine(drum pulper, D type hydrapulper, etc. ), cleaning equipment(high density and low density cleaner), screening equipment( mid consistency pressure screen, inflow pressure screen, vibrating screen, etc.) and so on.